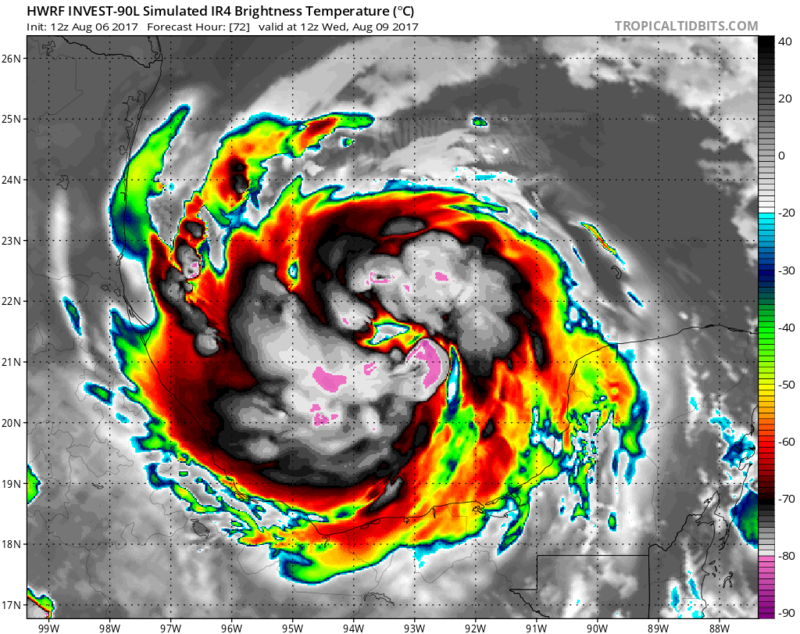 90L looks like it is close to being upgraded 80/90%. 12z EURO agrees with 90L to be a hurricane at landfall in mainland Mexico. 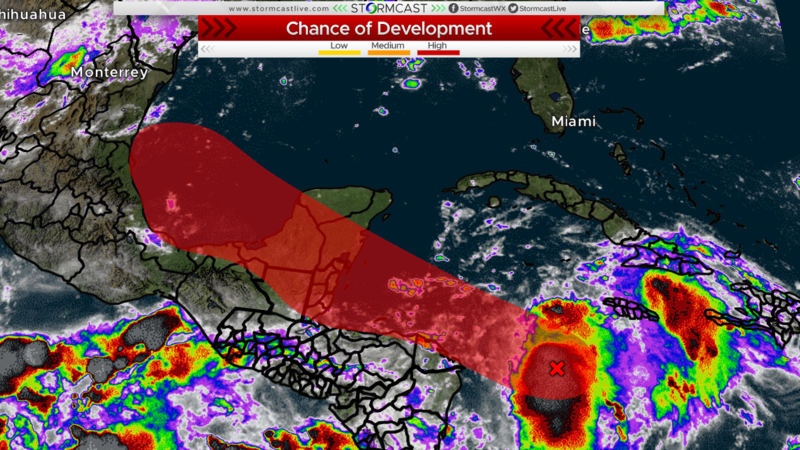 Chances of it becoming our first major hurricane are increasing before landfall near Tampico. The Bay of Campeche just has that magic! Well done, Zach should have been a weatherman. The NHC maybe upgrading this to TD#7 this afternoon. The NCAR Real-Time Tropical Guidance website is no longer listing Invest 90L as an invest, but is now calling it AL07 which means they are saying it is a tropical depression #7. Should be PTC 07 this afternoon rather than straight to a TD.